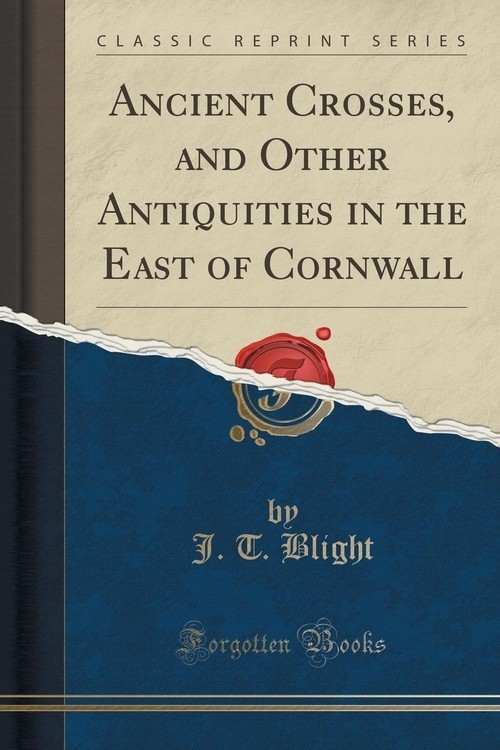 Opis: Ancient Crosses, and Other Antiquities in the East of Cornwall (Classic Reprint) - Blight J. T.
Tintadgel; locally called King Arthurs Castle. Ail! Prince and Duke! no happier name Than thine, amid our hills can stand, To blend Old Englands antique fame, With castled Cornwalls rocky land! Thy Plume, our banner of the West, The blind Bohemias faithful crest! II, Void was the land in days of yore. Of warrior-deed and minstrel-song :The unknown rivers sought the shore, The nameless billows roUd along: Till Arthur, and the Table-round, Made stern Tintadgel storied ground! III. Then shone the days of spear and shield: When Cornwalls Duke was Englands pride! He won, on Creci sdistant field. The spurs that gleam don Tamar-side :The wreath, at dark Poictiers he wore. Szczegóły: Ancient Crosses, and Other Antiquities in the East of Cornwall (Classic Reprint) - Blight J. T.
Recenzje: Ancient Crosses, and Other Antiquities in the East of Cornwall (Classic Reprint) - Blight J. T.